In Canada, Johnny Reid is already a chart-topping, multi-platinum selling artist…and now, he is ready to take the United States by storm! This Scottish-born artist has a soulful mix of Bruce Springsteen intermixed with a little rasp and some heartfelt songwriting. Want to know another tidbit about Johnny Reid? He was nominated for FOUR Juno Awards (which is Canada’s version of The Grammy’s). His following has grown rapidly…and he even now has a street team! Quite the popular man! As a resident of the Home of the Blues, his voice reminds me of smoky Memphis soul and R&B that depends as much on the morality and storytelling of country music as it does the instrumentation and fiery performance of ethic of soul. 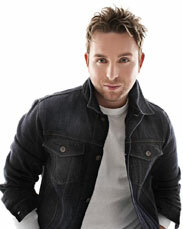 Johnny Reid has also teamed up with the Children’s Aid Foundation. Fans can purchase a stuffed teddy bear with a compilation lullaby CD through his website. 100% of the proceeds are donated to the Children’s Aid Foundation. When talent is matched with character, that is a huge delight. He has two songs that are currently available on iTunes, including “Let’s Go Higher” and “Today I’m Gonna Try and Change The World”. I received his DVD – “Heart and Soul” – to review. It includes 15 tracks. The DVD also includes 4 additional bonus rehearsal songs. My favorite songs of Johnny Reid are “Let’s Go Higher” and “Out Of The Blue”. His raspy voice clings to my ears like candy. I’m not the kind of person that just goes searching for new music. I like to stick to what I know. And, with reviewing Johnny Reid’s DVD, I’m so glad I gave him a chance. Such amazing talent! Disclaimer: I received Johnny Reid’s DVD from EMI/Manhattan Records in exchange for an honest review. No other compensation was received. All opinions are my own. Learn How To Save Money on Luvs with These Coupons & Ibotta!